A new Post Locator application has been added to the District Website. 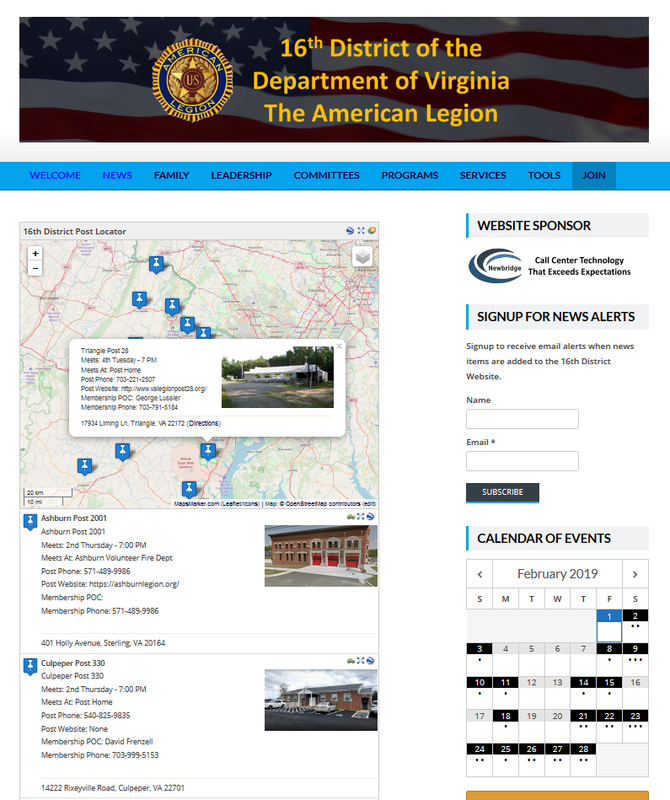 The URL for the new locator is: https://16dvalegion.org/post-locator/. From the main menu it is under the “Join” menu item. The new locator has several features. A map overlay has push pins showing the approximate location of your Post. Clicking on a push pin displays a popup box with information about your post. This is the same information that is displayed on the table below the map. We hope you like the new Post Locator. All Post Media and Communication Chairs should review the information on the Post Locator Page. If you have any changes that are needed, please notify the District Media and Communications Chair or Webmaster using the contact form on the website.